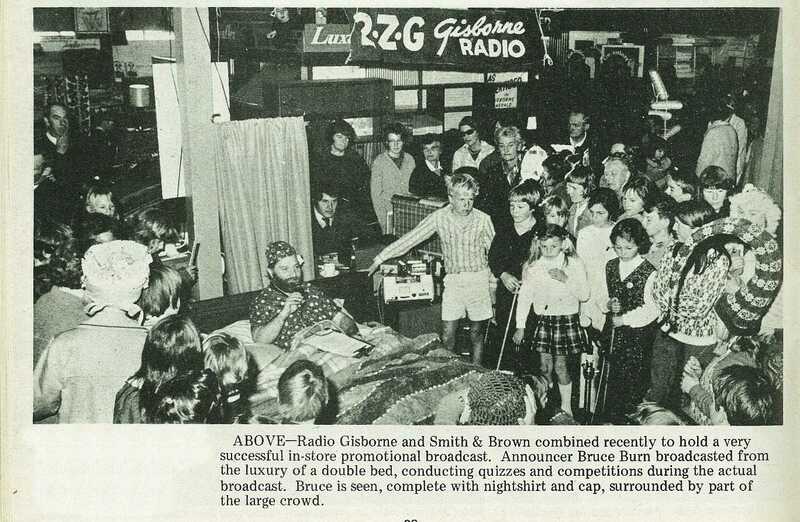 Radio Gisborne and Smith & Brown combined recently to hold a very successful in-store promotional broadcast. 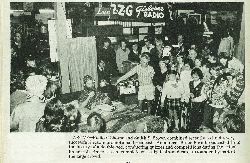 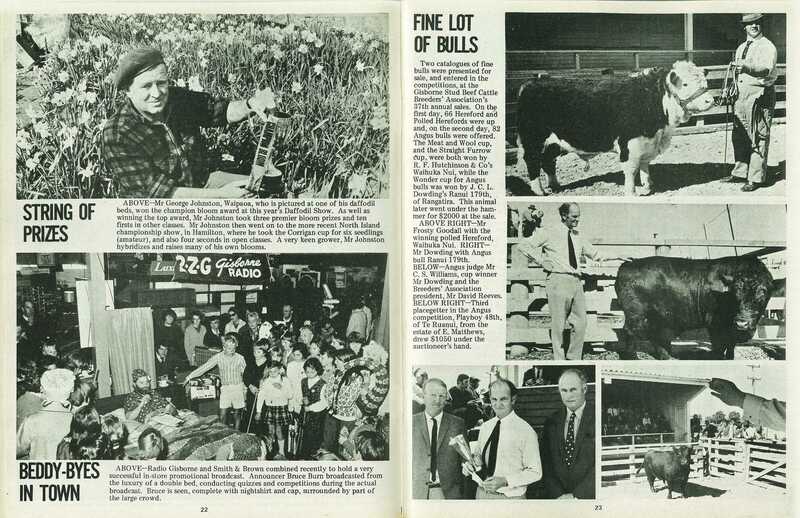 Announcer Bruce Burn broadcasted from the luxury of a double bed, conducting quizzes and competitions during the actual broadcast. 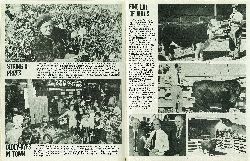 Bruce is seen, complete with nightshirt and cap, surrounded by part of the large crowd.